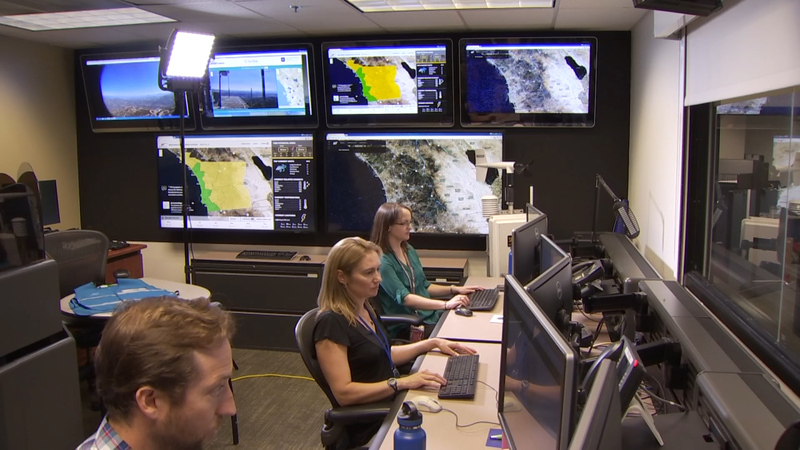 TOP: Meteorologists at San Diego Gas & Electric scan weather data to predict dangerous fire conditions up to 10 days in advance. 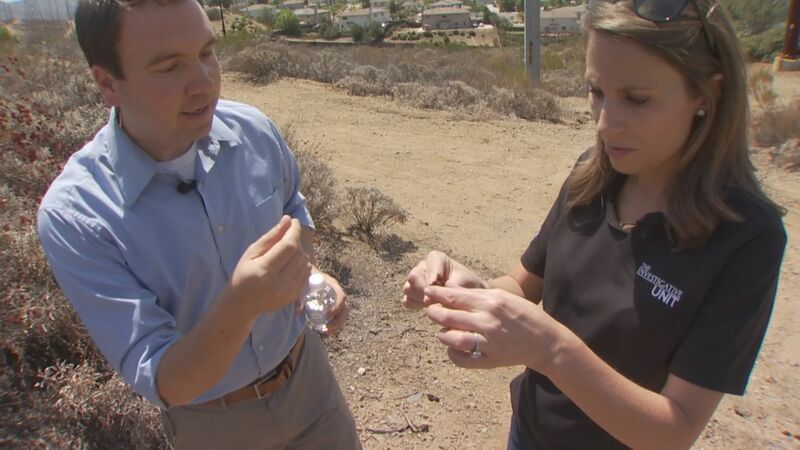 BOTTOM LEFT:MIDDLE: Brian D'Agostino, Fire Science Director at SDG&E, hands reporter Liz Wagner a piece of brush that is so dry, it breaks instantly. BOTTOM RIGHT:BOTTOM: Near Santee, CA, a suburb of San Diego. 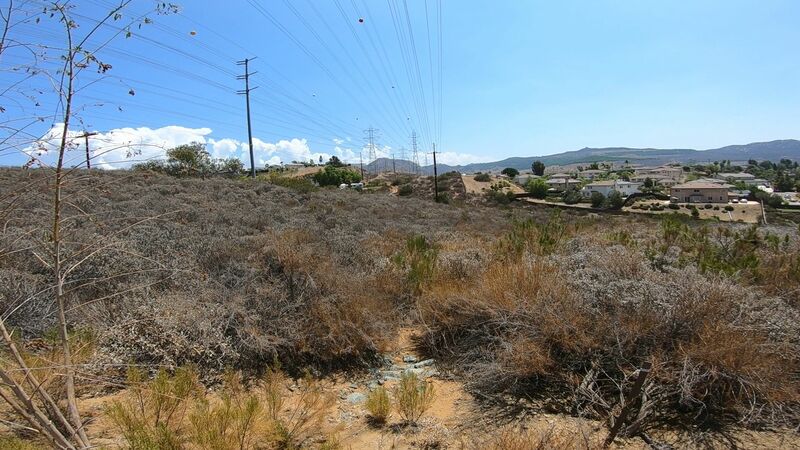 During high winds, these power lines can fall and ignite miles of dry brush in seconds.